Are you an adult who has never been on a bike before (or haven’t been on one for decades)? 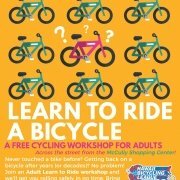 Come out to a FREE workshop where HBL’s friendly and knowledgeable instructors will get you rolling safely – at any age! No experience needed. Bring a bike or use one of ours. Space is limited & pre-registration is required at HBL.org/workshops. 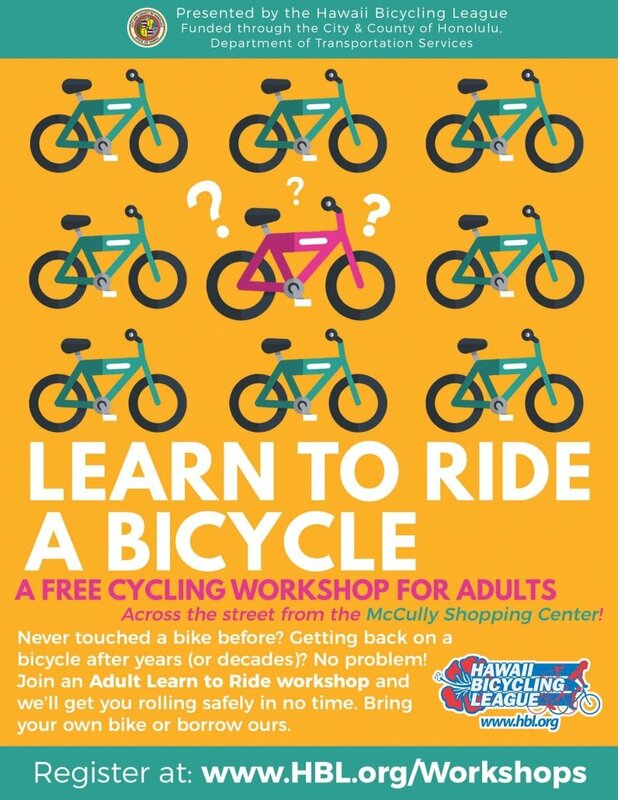 Learn to ride a bike today!